The architecture and design of Paresa Phuket resort hotel effortlessly evolves out of and blends into the natural surroundings of lush tropical vegetation. Set in nature’s garden, so to speak, the external walls of natural handmade earth tone brickwork and green roofing reflect the thought and sensitivity for the environment that went into the property’s construction. “Drawing from Southern Thai cultural traditions, Paresa is a modern day reinterpretation of Southern Thai architecture and design,” says proprietor Mr Poompong Patpongpanit, the man behind this innovative resort. Unlike most Thai-styled resorts with stereotypical design and ostentatious architecture based on the Northern Thai Lanna-style with Jim Thompson-like essentials, Paresa is very much understated in the true Thai sense of the word with the Southern Thai cultural detail to be found in the finishes. Built around several magnificently preserved Banyan trees, several elements of Paresa’s structural design are reminiscent of the Frank Lloyd Wright-inspired organic architecture. Characteristic of Southern Thai design, Bangkok-based UKD Architects make use of soaring pavilion-style ceilings and rich timber finishes, produced from locally hewn and sustainable Thai forests, to highlight the luxurious spaciousness of every villa’s interior. Artworks featured throughout the property include golden angels inlaid in black, a reference to the Thai translation of Paresa, the “Heaven of Heavens”. Unadorned and calming off-white walls further highlight the airy and spacious atmosphere created within each Paresa villa. From the tranquil and relaxing bedrooms to the open-plan interior areas, each villa flows seamlessly to the outdoor terrace and frame the breathtaking uninterrupted views across the Andaman Sea. Rich customary Thai teak floors combined with traditional local and Chinese furnishings add a further dimension of eastern-inspired luxury to the Paresa villas. Villa’s have King-size beds dressed in plush white linens and sumptuous feather pillows and duvets. The lavishly appointed bathrooms with white Italian terrazzo tile walls are adorned with traditional Phuket batik-works. A fully equipped kitchen with a wine cellar and personal butler is also available to cater to guests’ every desire. Private exterior verandas are made all the more enticing with comfortable daybeds or sun lounges, outdoor treatment sala and a separate outdoor bathroom making each villa completely self-contained for total uninterrupted indulgence and relaxation. The interior design of Paresa’s main restaurant Diavolo (The Devil) features dramatic fire red walls and black floors, a devilish play on the name. The restaurant offers unimpeded views across the ocean with its spacious open-style plan. Diavolo is embellished with elegant Italian furnishings and showcases an exterior with rough-textured timber furnishings, enticing patrons to indulge in the many delicacies served. “By and large the design of Paresa is very open and spacious with the aim of enticing nature into every villa, lounge and restaurant,” says Mr Patpongpanit. Talung Thai, Paresa’s signature restaurant, serves authentic Thai cuisine in a light, airy, modern setting and offers a menu of the most popular dishes from around the Kingdom. 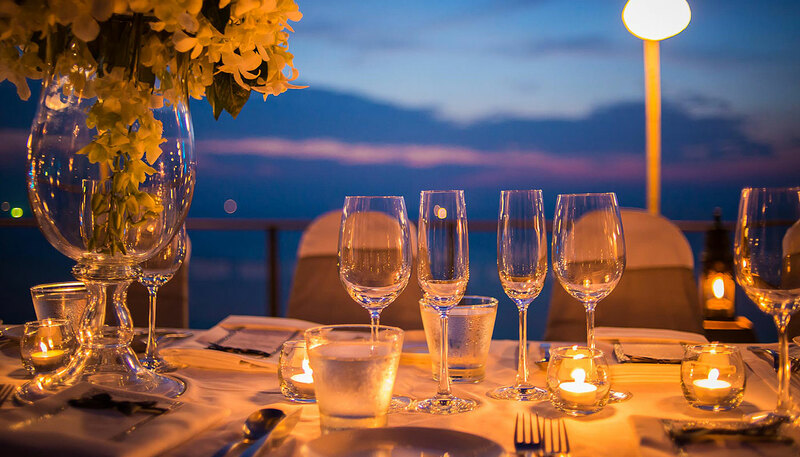 Situated high on the cliff top, this al fresco restaurant is shaded by the canopies of majestic Banyan trees preserved for posterity and offers the perfect venue from which to enjoy the magnificent nightly sunsets across the Andaman Sea. 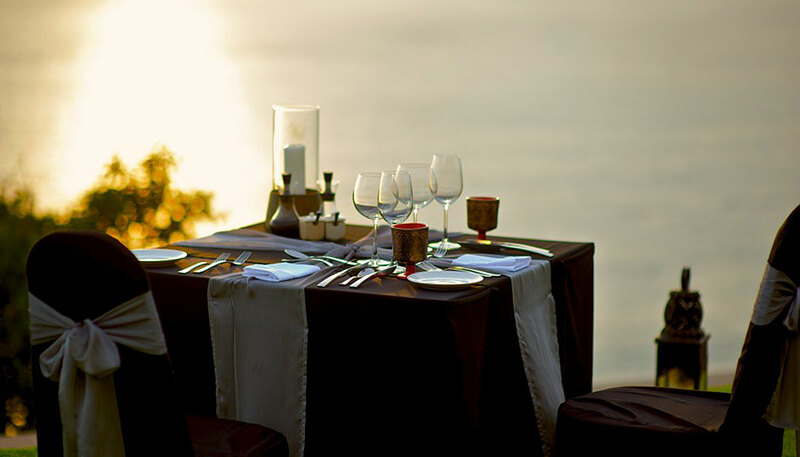 The Infinity Experience at Paresa is the ultimate in alfresco dining. 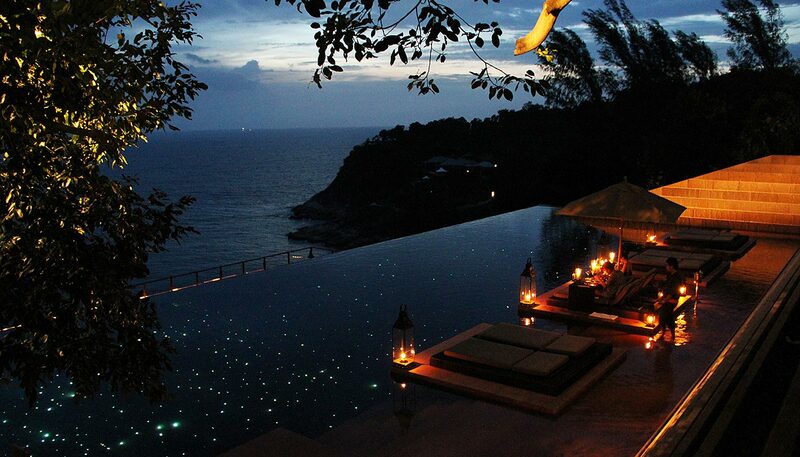 Seated on “private islands” positioned within the shallow waters of the fibre optic lit infinity pool, mimicking the magnificence of the Milky Way in the night sky above, guests dine under the stars, accompanied by the soothing sounds of the waves below. The Thai-inspired Paresa Spa consists of five treatment rooms, each featuring interior Italian terrazzo wall tiles in the traditional ochre clay colour of Phuket’s natural soils. Three treatment rooms also feature en-suite private steam rooms. The design concept of Paresa holds dear to the revered and long-standing maxim of luxury in simplicity. Much thought was given to the architecture and design, valuing the understated, quality and privacy to combines seclusion and privacy with unrivalled standards of luxury and indulgence guaranteed to reinvigorate, rejuvenate and renew.